WASHINGTON, DC, January 15, 2016 (ENS) – No new coal leases will be issued on public lands while the Obama Administration conducts a comprehensive review of the federal coal program to identify and evaluate potential reforms, Interior Secretary Sally Jewell announced today. Taxpayer-owned federal lands supply roughly 40 percent of all U.S. coal production, and mining under existing leases will continue during the review. This is “another step along the path that President Barack Obama announced in Tuesday’s State of the Union address” to improve the way the United States manages its fossil fuel resources and move the country towards a clean energy economy, said Jewell. Expected to take three years to complete, the review will examine concerns about the federal coal program that have been raised by the Government Accountability Office, the Interior Department’s Inspector General, members of Congress and the public. Environmentalists concerned about climate change are pleased with the government’s move. “This moratorium will keep enormous amounts of carbon in the ground and move the U.S. closer toward hitting our climate goals set in Paris,” said Sara Shor of the nonprofit climate action group 350.org. She is hoping the next President makes the moratorium permanent. “This could end up being the single biggest step toward keeping fossil fuels in the ground that the U.S. has ever taken. We’re talking about 212 gigatons of carbon left safely underground! To put that in perspective, the Canadian tar sands represent about 240 gigatons of carbon,” said Shor. Shor called the review “a real movement-driven victory,” citing the many demonstrations against the climate impacts of fossil fuels including coal. “The climate movement is really changing the political game,” she said. The review, in the form of a Programmatic Environmental Impact Statement, will look at issues such as how, when, and where to lease; how to account for the environmental and public health impacts of federal coal production; and how to ensure American taxpayers are earning a fair return for the use of their public resources, said Jewell. National Mining Association President and CEO Hal Quinn expressed the coal industry’s opposition to the review. “Despite the impediments of above-market royalty rates and job-crushing red tape, the coal supply being cut off by today’s action has been the source of the lowest cost and most reliable electricity keeping America’s lights on and people working,” said Quinn. But Jewell said the leasing pause does not apply to existing coal production activities. 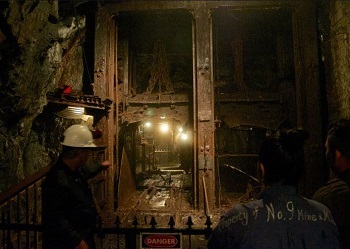 During and after the moratorium, companies can continue to mine coal reserves already under lease, estimated to be enough to sustain current levels of production from federal land for approximately 20 years. There will be limited exceptions to the pause, including for metallurgical coal, which is typically used in steel production; small lease modifications and emergency leasing, including where there is a demonstrated safety need or insufficient reserves. Pending leases that have already completed an environmental analysis under the National Environmental Policy Act and received a final Record of Decision or Decision Order by a federal agency under the existing regulations will be allowed to complete the final procedural steps to secure a lease or lease modification. Jewell said today’s action builds her call last March for “an open and honest conversation” about modernizing the federal coal program, which led to a series of public listening sessions across the country in 2015. While the review is underway, the Interior Department will undertake reforms to improve transparency and administration of the federal coal program. The Department of the Interior will direct the U.S. Geological Survey to begin annual tracking and reporting on greenhouse gas emissions that come from fossil fuel extraction on public lands. Bureau of Land Management offices will be required to publicly post online pending requests to lease coal or reduce royalties. The agency will also facilitate the capture of waste mine methane, a greenhouse gas that can be used to generate power. 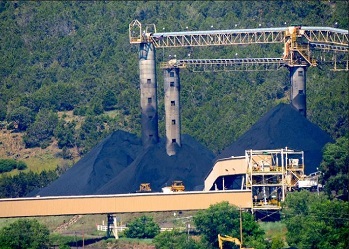 These actions build on existing efforts to modernize the federal coal program, including the Office of Natural Resources Revenue’s work to finalize a proposed rule to ensure that the valuation process for federal and American Indian coal resources better reflects the changing energy industry while protecting taxpayers and American Indian assets. The public will have multiple opportunities to participate, starting with public sessions early this year to determine the precise scope of the review. The Interior Department intends to release an interim report by the end of 2016 with conclusions from the scoping process about alternatives that will be evaluated and, as appropriate, any initial analytical results. For more information on the federal coal program, click here.